Whether you’ve been using background screens for years or are new to the process, a practical approach to professional background screening is useful. Are you using the right services? Have you considered compliance and legalities? Is your budget set and are you familiar with what could impact your cost? 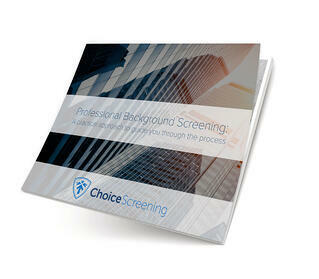 What should you look for in a professional background screener? Not only will you be guided through the steps, but you’ll receive insider tips from the pros along the way! Download our guide to gain this key information and pro knowledge to set you on the path to background screening success!